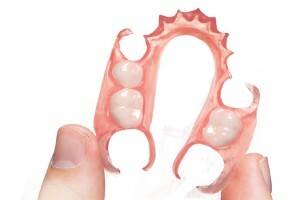 Are you looking for a removable yet sturdy tooth replacement option? Dentures are comprised of prosthetic teeth attached to a pink or gum-colored base, and they are designed to fit snugly over your gums for a natural fit and appearance. Dr. Marvin Herschfus, our expert dentist, provides two types of dentures at our dental office. The first is full dentures, also known as complete dentures. This is the type that comes to mind when most people think about dentures. Full dentures replace all of the teeth in your upper or lower dental arch, or both. The second option is partial dentures, which require some natural teeth to remain in your smile in order to be used. 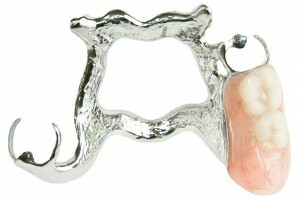 Partial dentures are often held into place with metal framework. 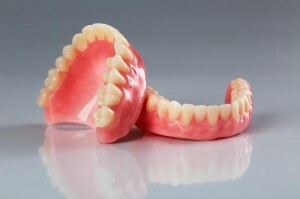 Dentures are comfortable, affordable, and a great option for those patients who want to avoid more invasive treatments. We will work together to make sure your dentures look and fit properly. If you are missing multiple teeth and would like more information about how dentures can restore your smile and your self-confidence, we encourage you to contact a member of our skilled dental team. Together, we will help answer your questions and get you started on your new smile!